In Driveshaft Shop’s ongoing quest for the perfect axle, Driveshaft Shop hit the mark with the new 2.9 Axle. These axles have been designed with the fast street car and all motor drag car in mind. Designed to handle 475WHP, these axles are made for any swap configuration and have one of the wildest heat treats known to man. 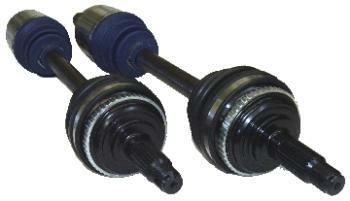 This axle is a direct bolt-on and will take whatever power you want to push into them.